Best Live Music In Singapore: 8 Places To Visit If Live Music Is Your Thang! 8 Places To Visit In Singapore If Live Music Is Your Thang! Looking for the best live music in Singapore ain't that hard. You just have to know the key areas and then decide the perfect one for your mood and group of friends! 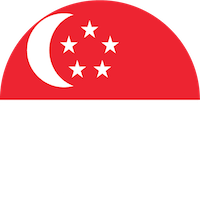 If you're looking for venues with the best live music in Singapore where you can unwind, down a few glasses of Cosmopolitan, and listen to fancy tunes in the background, you've come to the right place. These places we found just for you offer great energy, fantastic musical performances, and chill crowds. Without further ado, here are the places for best live music in Singapore. We think this is the one of the best live music joints in Singapore, particularly because it's LGBT-friendly. Lulu is reportedly "part-suave, part-grimy" with nightly live jazz gigs and top-notch DJ sets spinning everything from hip-hop to dancehall.This is your go-to if you want to dance to live beats. The charm of this place lies in its location — right at the exotic and colourful Muslim district of Kampong Glam. It's actually the best place for live alternative music by both popular and up-and-coming artists. Be ready to revel in headbanger tunes and a puff of sheesha to go with your beer. Guinness invasion at House of Timbre from 14-17 March! Enjoy Guinness at great prices and take part in our nightly games at Timbre @ The Arts House to win yourself Guinness merchandise and dining vouchers. Fans of Irish and UK music can also catch our bands playing the best from U2, Pink Floyd, The Cranberries and more! Timbre prides itself on being the home to some sought-after Singapore musicians. Luckily, the place has recently had a massive makeover and everything has been upgraded--from chairs to the kitchen, and even to sound system. This is worthy of a check-out if you're serious about discovering fresh local Singaporean music catch Timbre's acts here. What came off last night? ➡️ Swipe right and ? spot the difference! Who's crazy and loves rock n’ roll and blues? It is this hotspot in Clarke Quay. Aside from the music, you also get a stunning view of the river and a crowd full of locals and expats. However, what we're really after are the open-night jam session on Sunday nights. You get to see aspiring musicians who finally have a venue to showcase their talents. Go here if you want to be discovered as a music talent! Wala-Wala is the go-to place if you're craving for something a little less sophisticated but still laidback--with beers on tap. The second floor is where most of the partying happens. It is said that regulars don't bother to dress to the nines, as they say, but if that isn't an issue for you then go ahead and shake your booty away alongside the live music blasting in the background. The best part about this bar though is their longer than usual happy hours time slot, it lasts from opening 'til 9 pm! A fan of bourbon? This is your waterhole. Singapore’s first and only bourbon bar has a rustic and unpretentious vibe that serves Louisiana classics such as chicken and waffles, cornbread, and Mississippi mudpie. Wash it down from their drink menu with over 30 types of bourbon whiskeys and regular open mic sessions for fun and brave pubcrawlers. If you're after the booze and live music combined, Harry's is your best bet. With these you can expect long nights of songs and swigs. It's been around for 24 years, so you're sure to get a good time and a good crowd. If you frequent the Merlion area at night, you have an 80% chance to watch a live act by the bay. In fact, this is the birthplace of Singapore local music festival, Baybeats. The best part? It's free. You can't beat that! To be honest, looking for the best live music in Singapore ain't that hard. You just have to know the key areas and then decide the perfect one for your mood and group of friends! Just remember to not drink and drive!